1. Please tell us some brief information on the revised IP Law of Laos. The new Law on Intellectual Property No. 38/NA of 2017 took effect at the start of June 2018. It replaced the old 2011 law (i.e. Law on Intellectual Property No. 01/NA, dated December 20, 2011). The Trademark definition is expanded to non-traditional marks. Oppositions have been introduced. The intention is to create an online publication system. The patent regime is largely unchanged except for an increased ability of the government to challenge patents contrary to public policy. Industrial designs now have an opposition procedure. Plant Variety provision are changed inline with the UPOV Convention. Copyright protections are expanded especially in the context of digital broadcasts. From our viewpoint, the new Law on Intellectual Property No. 38/NA of 2017 does not bring major changes. But, it is moving Laos IP law closer to a regulatory framework in line with international standards. Third parties are provided with fuller rights to protect their intellectual property rights through the New IP Law. KENFOX: Formerly, Law on Intellectual Property No. 01/NA provided that words (including personal names), letters, numerals, packaging of goods, figurative elements, and combinations of colors, as well as any combination of these items, could be registered as trademarks. The New Laos IP Law now provides that 3D images and animated images can also be registered as trademarks. 3. Is there any new regulations under Lao New IP Law pertaining to trademark opposition? KENFOX: The New IP Law No. 38/NA of 2017 introduces an opposition procedure in Laos. Previously, when a trademark owner registered his/her trademark, there was no publication procedure available to inform and allow interested third parties to oppose to a pending trademark. The interested third party was only able to file a cancelation request with the Department of Intellectual Property of Laos (DIP), once the trademark certificate was issued and the trademark was registered with the DIP. Under the old IP Law of Laos, it was only possible to initiate a cancellation action within five years as of the date of publication of the registered trademark in the official gazette. In the past, delays in publishing a mark in the official gazette were the norm, and sometimes it took a few years before the official gazette actually published a mark, which rendered any action for cancelation at unsuitable time. By the time a mark would have been published and then vulnerable to cancelation, the first trademark applicant could have invested money and time in the promotion and development of its brand. This could lead to more reluctance from the examiner at the DIP to cancel a registered trademark, but used in commerce. The New IP Law of Laos provides a third party more chances to oppose a pending trademark in Laos within 02 months of the publication date of the trademark. Under the law, the trademark publication will become effective once the DIP confirms that the minimum required documents have been filed and are in order. A digital platform for trademark publication in Laos will be created and will publish and notify third parties of the submission of a new trademark application. 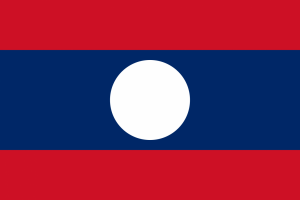 A Notice of Opposition can be filed within 60 days of the publication date of the trademark application in Laos. When the preliminary examination is successful, trademark publication will occur. 4. What is term of Protection for trademarks in Laos? KENFOX: Formerly, Law on Intellectual Property No. 01/NA provided that a trademark registration in Laos was valid for a period of 10 years from the date of registration. However, The New IP Law No. 38/NA of 2017 provides that trademark registration in Laos will be valid for a period of 10 years from the filing date. 5. Are there any major changes about Patent/Petty Patent in Laos? KENFOX: No major changes have been introduced in the New IP Law No. 38/NA of 2017 pertaining to the framework for patent and petty patent registration. The Lao authorities appears to take a stricter approach concerning patent or petty patent related matters. Formerly, Law on Intellectual Property No. 01/NA, those patents or petty patents deemed to pose a threat to the public order or good morals of society, or to public health or the environment, or to the stability of the country, might have been refused or their exploitation limited. However, The New IP Law No. 38/NA of 2017 provides that patents and petty patents that may pose a threat, as mentioned above, shall be refused. 6. Is it possible to file a Notice of Opposition against patents or petty patents in Laos? KENFOX: Yes, it is now possible to oppose the patent registration in Laos . Once the preliminary examination has been satisfied, third parties may monitor the patent publication and entitled to filed a Notice of Opposition against patents or petty patents in Laos. 7. Are there any major changes about Industrial Design and Layout Design of Integrated Circuits? KENFOX: No major amendments are found in the New IP Law No. 38/NA of 2017. However, an opposition procedure is now in place. Once a preliminary examination has been satisfactorily completed, third parties will be notified that an application has been filed with the Department of Intellectual Property, and will have 60 days, as from the date of publication, to file a Notice of Opposition against the industrial design or layout design of integrated circuits. 8. Anything new concerning copyright in Laos? Broadcasters and broadcasting organizations that initiated and made radio broadcasts, image broadcasts or sound and image broadcasts are still eligible for protection under the New IP Law No. 38/NA of 2017. However, it is worth noting that the new law states that these broadcasts can be conducted by hardwire or by wireless transmission in order to include every type of broadcast, whatever technology is used. 9. Could you advise us on dispute resolution for IP related matters in Laos? Formerly, Law on Intellectual Property No. 01/NA provides that parties to a dispute pertaining to IP could request the IP administration authority to settle the dispute. This regulation provided a wide range of powers to the local authorities, because it remained broad and general. Basically, any party to a matter could file a complaint with the relevant authority, whenever they deemed their rights had been infringed. This was extensively used to trigger mediation procedures, but also raid actions and the seizing of counterfeit goods at shops or at warehouses or factories producing fake products. However, under the New IP Law No. 38/NA of 2017, administrative remedies will focus only on the resolution of disputes related to the registration of industrial property rights, new plant varieties, copyright and related rights. 10. Any progressive regulation on criminal actions in Laos? The New IP Law No. 38/NA of 2017 provides the grounds on which a criminal offense can be substantiated in a more simplified manner, according to the types of rights, products, or infringement levels. Under the old Law on Intellectual Property No. 01/NA, criminal offense could be proved under different requirement, depending on the products and the rights subject to the infringement the IP holders would need to substantiate that the violation was intentional and for a commercial purpose; or intentionally made resulting in harm to the health of a person, damage to the environment, or damage to property; or only intentionally perpetrated (copyright piracy or trademark counterfeiting). The New IP Law simplified the requirement to initiate a criminal action in that that the offense be intentional only.